The son of Jewish immigrants, César Milstein grew up in Bahía Blanca, a port town located by the Atlantic ocean some 500 miles south of Buenos Aires. 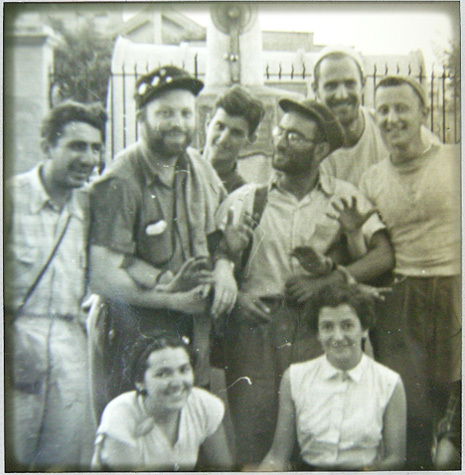 Jews had begun to settle in Bahía Blanca from around 1900, many of them coming from central and eastern Europe. 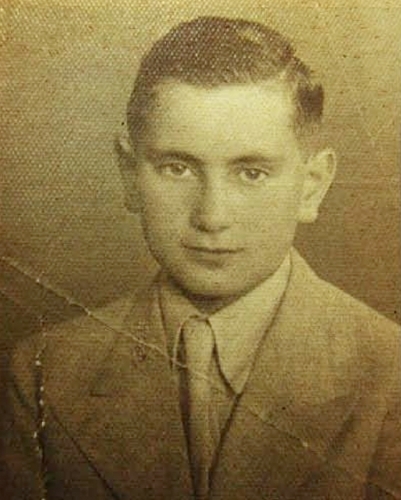 Milstein's father, Lazaro, was born in a village in the Ukraine and migrated to Argentina in 1913 at the age of 14 with his aged aunt and uncle. 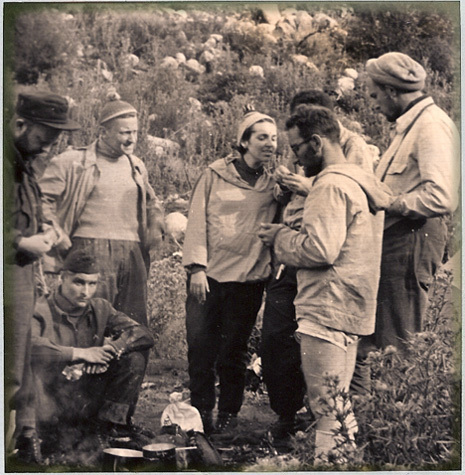 For many years he lived in Jewish settlements near Bahía Blanca trying his hand at different trades, including farm labour, carpentry and railway work. During this time he taught himself Spanish and was an enthusiastic reader. He was also active in social and cultural activities, helping to preserve Yiddish literature and working for non-religious Jewish organisations, some with anarcho-syndicalist connections. This photograph was taken when Milstein was a young man. Photograph credit: Celia Milstein. Lazaro met Maxima, his wife-to be, in Bahía Blanca. Maxima was born in Argentina. She was the daughter of poor Ukrainian immigrants who made great sacrifices to ensure she had a secondary school education and went to college. At the time Lazaro met Maxima she was a school teacher. Soon after their meeting, Maxima rose to become a head mistress. 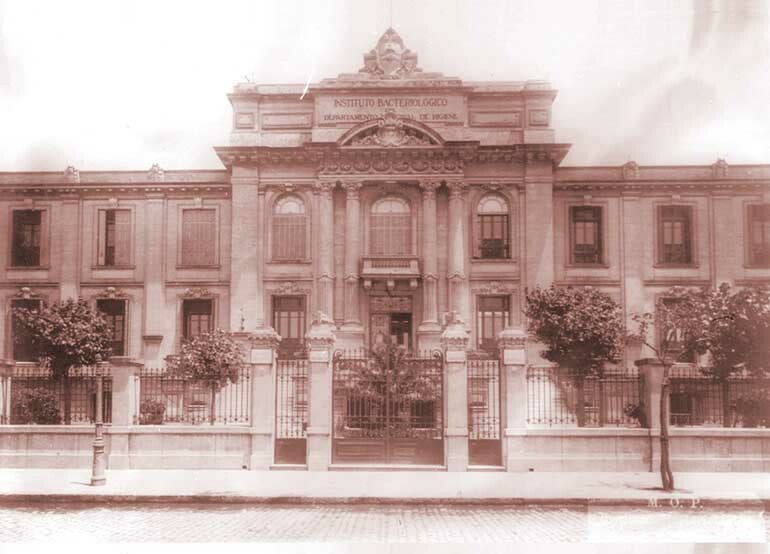 From 1926 to 1933, Maxima directed School No.3, the first co-educational school established in Bahía Blanca. Milstein, the middle of three brothers, was born at the family home on this school's premises. He also attended the school in his early childhood. Both of Milstein's parents spoke Yiddish at home, but Milstein was raised speaking only Spanish. During his early childhood Milstein preferred playing with other children in the streets to reading books. With his mother's encouragement, however, he soon began to find pleasure in books, particularly adventure stories such as Rudyard Kipling's Jungle Book. Milstein developed a desire to pursue science at the early age of 8. This was prompted by a discussion he had with one of his cousins who had just completed her degree in Chemistry and was then working as a biochemist at the Instituto Malbran. Milstein was particularly fascinated by his cousin's description of her attempts to extract snake venom to treat snake bite victims. 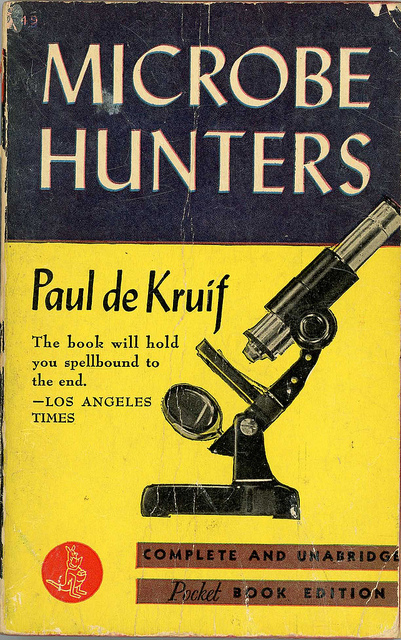 Milstein's interest in science deepened when on his ninth birthday he was given a Spanish translation of Paul de Kruif's Microbe Hunters by his mother. This book awakened his desire to have the same type of adventurous life like that of the scientists Antoni van Leeuwenhoek and Louis Pasteur described in the book. Milstein grew up in a family which prized knowledge and education. Until his last year of school, Milstein attended schools close to home in Bahía Blanca, including the Colegio Nacional. In his final year, however, he moved to a secondary school in Buenos Aires to prepare for the entrance exam of the University of Buenos Aires. 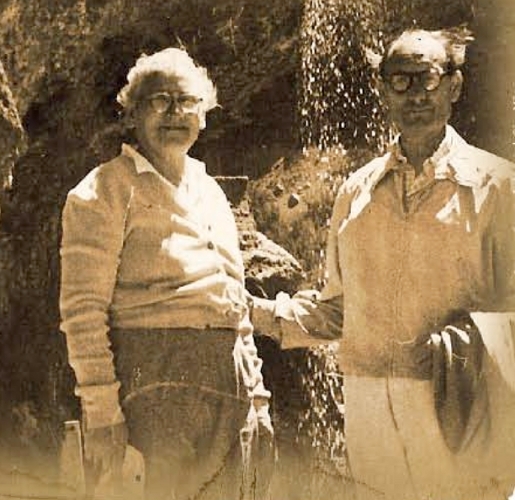 Milstein's parents always supported his research, his mother helping to type up his first PhD thesis and his father offering him economic assistance so that he could dedicate himself to his doctoral research. Fiercely independent, Milstein declined his father's financial support. In 1945 Milstein started to study chemistry at the University of Buenos Aires. His undergraduate studies, however, were interrupted when, during a faculty picnic, he suffered severe injuries to his pancreas when he hit a log while diving into a shallow pool and had to take off some time off to recover. He finally received his BSc in chemistry in 1952. Google Map showing the location of Bahia Blanca in Argentina. The town is a major trans-shipping and commercial centre, known for its large export trade of grains, wool, oil and fruit. Click to view a larger map. During his undergraduate years Milstein was active in campaigns against the Peronist government's policies aimed at privatising education and their more general impositions on universities and student life and rose to be President of the Student Union. At the time the government was clamping down on any political activity, and the atmosphere was particularly tense. In 1951, for example, a chemistry student, Ernesto Mario Bravo, was arrested and tortured for 20 days as a result of protesting against the government. His arrest sparked a major student strike. More than 150 strikers were arrested and university administrators expelled the more prominent leaders of the student movement. In the end, however, Bravo was released. The student movement considered this a major achievement. Three years later student unrest erupted once again when the Peronist regime imposed even greater control over the media, education system, trade unions and the legislative and the judiciary. In October 1954 students joined workers striking against the then deep economic and social crisis and increasing unemployment. Shortly after Milstein returned to the University of Buenos Aires from his several months of convalescence, Milstein met Celia Prilleltensky, a fellow chemistry undergraduate. Their first encounter was at the laboratory bench, where they found themselves working alongside each other. Celia not only shared Milstein's scientific interests, but was similarly an ardent student campaigner for free education. A year after their graduation in 1952, Milstein and Celia married. At the same time as getting married, Milstein began to look for a suitable doctoral supervisor. Initially he sought to work with Professor Luis Leloir, a distinguished Argentinian enzymologist. To this end he visited Leloir's workplace, an old house in Buenos Aires. On arrival he met what seemed to him an unassuming man carrying a basket. This turned out to be Leloir. Having no space to take Milstein on, Leloir instead referred him to the Argentinian biochemist Professor Andrés Stoppani. This photograph shows Milstein early on in his courtship with Celia Prilleltensky. Photograph credit: Celia Milstein. Milstein recalled that Stoppani was 'one of the few and perhaps the only full-time Professor of the Faculty of Medicine in the University of Buenos Aires, perhaps the most important universities in Latin America, a full time professor who probably had a salary of about the same order of magnitude as a janitor, trying to do serious and honest research in a laboratory with no funds at all'. Stoppani advised Milstein to take some time off before he started his doctorate in view of the tense political climate which was hostile to students such as Milstein who had actively campaigned against the Peronist government's policies in education. 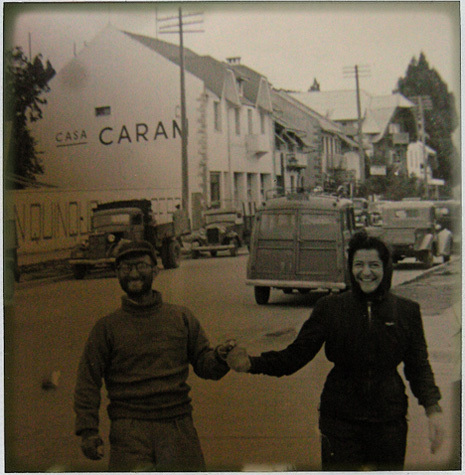 His advice encouraged Milstein to take a year long honeymoon with Celia exploring Europe. By 1954 the political environment had begun to improve and Milstein began researching enzymes for a doctorate in biochemistry although he had no funding as there was none for students in this period. He was forced to support his studies by working half-days in the Laboratorios Liebeschutz, a clinical biochemistry laboratory. In later years Milstein argued that this part-time job had taught him the value of organising his time. During his doctoral research Milstein had access to only the most basic equipment. Some idea of how poor the facilities were at the time can be seen from his recollections that Stoppani had 'to pay, from his own meagre salary, for the pound of yeast … needed from time to time in order to prepare … [the enzyme] aldehyde dehydrogenase.' He recalled, 'We survived on what was inherited from the golden days … from the Medical School and with reagents justified by teaching requirements'. The most precious piece of equipment in the department was a Warburg apparatus, which Stoppani did not allow anyone but himself to use. Click here to see the additional photographs from Milstein's early life. By 1955, the political situation in Argentina had improved still further and with this the conditions in Stoppani's department became slightly easier. This meant, for example, that the department was able to purchase a refrigerated centrifuge. The centrifuge proved useful to Milstein in his enzyme preparations. Nonetheless, problems remained. The nearest spectrophotometer, an instrument that Milstein needed for measuring enzyme activity, was located three blocks away from his department and Milstein had to trek every day between departments carrying reagents and enzyme preparations. Early on in his doctoral studies he came close to losing his position in the department when, in the process of making his enzyme preparation, he succeeded in consecutively breaking three of the department's five very expensive 5-litre flasks. Despite these hurdles, Milstein completed his doctoral research and was awarded a prize in 1957 by the Associación Quimica Argentina for the best thesis in chemistry that year. His doctorate was an investigation of the enzyme dehydrogenase. He had focussed his research on one of the enzyme chemical bonds, known as a disulphide bridge. 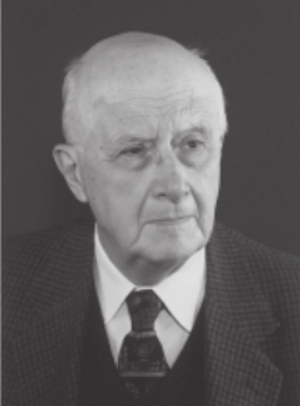 Between 1957 and 1959 Milstein would publish several papers with Stoppani arising from his doctoral research. 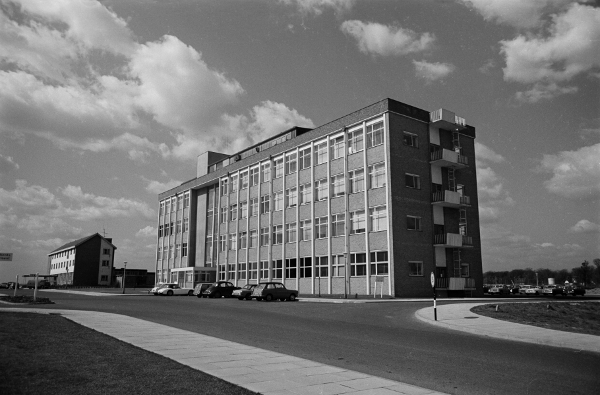 In 1958, funded by a British Council scholarship, Milstein joined Malcolm Dixon and Edwin Webb at the Sir William Dunn School of Biochemistry in Cambridge. In part the decision was influenced by the fact that Stoppani had worked with Dixon before the Second World War. 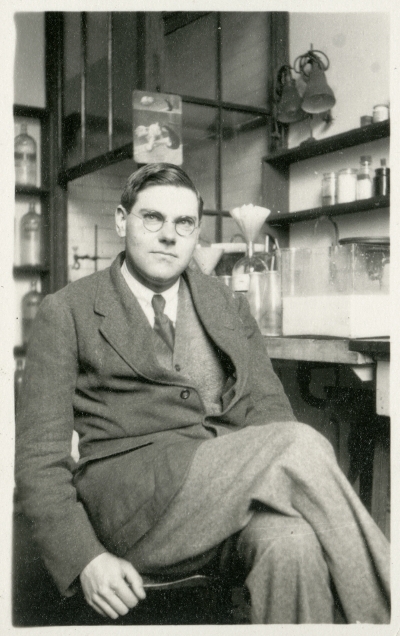 Malcolm Dixon, the biochemist who supervised Milstein at the Sir William Dunn School of Biochemistry, Cambridge University. Photo credit: Sir William Dunn School of Biochemistry, Cambridge. Initially, Milstein had difficulty understanding what Dixon and Webb were saying because he lacked fluency in English, but with their advice he set out to study the kinetics and heavy metal activation of the enzyme phosphoglucomutase. This was inspired by Dixon's suggestion that Milstein follow up an odd observation made some years earlier in the department that phosphoglucomutase required two metals for full activity, magnesium and a trivalent metal like chromium. 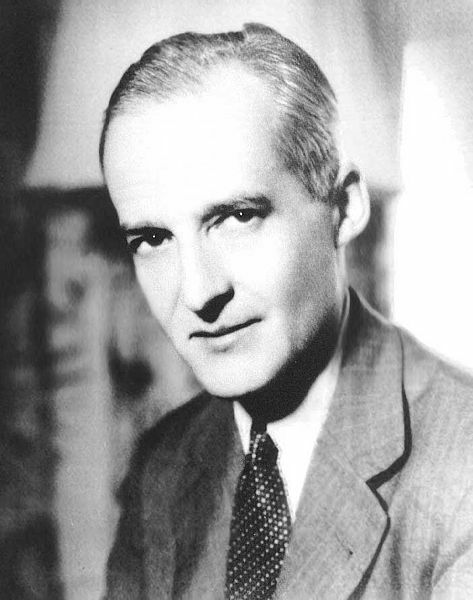 Milstein was left to pursue his research on his own within Cambridge. The work was not without its pitfalls. Milstein lost his first large-scale enzyme preparation in an electric cold bath. According to Milstein this was caused by the distraction of attending a champagne party to celebrate the awarding of a Nobel Prize to Fred Sanger in 1958. Sanger had been awarded the Prize two weeks after Milstein's arrival in Cambridge. A central figure in the Cambridge Biochemistry Department, Sanger's achievement had been to show that proteins have a defined chemical composition. Despite his early disaster with his enzyme preparation, within a year Milstein's experiments on phosphoglucomutase had provided sufficient data for him to write up his research. This led to the award of a second doctorate, this time from Cambridge University. Based on this research he published three papers. Contrary to contemporary opinion, Milstein discovered that the activation of phosphoglucomutase was caused by the displacement of heavy metals by magnesium. Prior to Milstein's finding, scientists believed the enzyme was activated by the heavy metals themselves. During his British Council fellowship in Cambridge, Milstein formed a strong bond with Sanger. At the time Sanger was a pivotal figure in the Department of Biochemistry, as he possessed the only functional pH meter. While an unassuming figure, Sanger was a dominant influence within the department. Milstein, for example, remembered a warning sign to the entrance of the department's high-voltage electrophoresis room reading 'Danger – High Power' which was altered by someone in the department to read 'Sanger – High Power'. Milstein was quickly drawn to Sanger not only because of the equipment he possessed but also by the fact that they shared the same research interests. They soon collaborated to define the active site of phosphoglucomutase and published a joint paper on this research. It appeared as C. Milstein, F. Sanger, 'An amino acid sequence in the active centre of phosphoglucomutase', Biochemistry Journal, 79 (1960), 456-69. When it came time for Milstein to return to Argentina, Sanger offered to secure Medical Research Council money for him to extend his time in Cambridge. Milstein, however, decided to return to Argentina to take up a position he had been offered prior to coming to Cambridge. This photograph was taken around 1980. 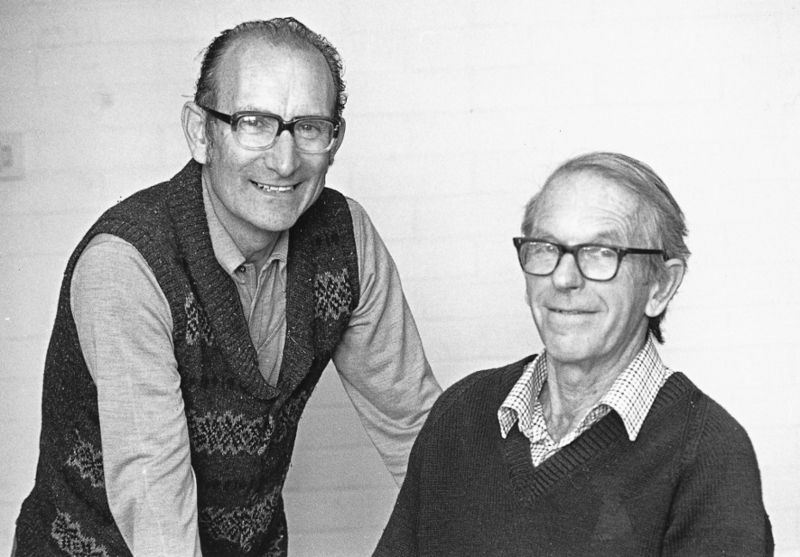 It shows Milstein together with Fred Sanger. Photo credit MRC, Laboratory of Molecular Biology. In 1961 Milstein departed from Cambridge for the Instituto Malbran, where he headed up a newly-created Department of Molecular Biology in the National Institute of Microbiology. Celia also had a post in the department. 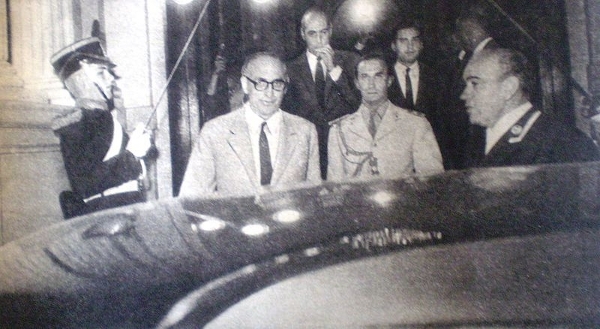 The return of the Milsteins to Argentina coincided with a period of reform in the country following the fall of Peron, when many academic scientists who had been sidelined (or expelled) during Peron's rule returned; they included Bernardo Houssay, a physiologist who won the Nobel Prize in 1947, and Leloir who would go on to win the Nobel Prize in Chemistry in 1970. As head of the Department of Molecular Biology, Milstein had a wide range of responsibilities, from employing his carpentry skills to install a laboratory to acting as mentor to 25 young scientists and bringing bacterial genetics into the research orbit of the department. In addition to his day-to-day to management of the department, he continued the research he had begun in Cambridge around phosphoglucomutase, developing techniques for studying the sequence of the enzyme and marking its active centres. He also started investigating another enzyme: alkaline phosphatase of bacteria. Much of this work was focused on understanding the enzyme's mechanism of action. His notable achievement at this time was elucidating the sequence around the active site of alkaline phosphate of bacteria with Noé Zwaig. This they accomplished ahead of scientists in the USA. They published their results in N. Zwaig, C. Milstein, 'On the nature of the phosphoenzyme intermediate in the phosphoglyceromutase reaction', Biochimica et Biophysica Acta, 73 (1963), 676-9. In 1962 Milstein's life, like that of many other Argentinians, was thrown into turmoil as a result of a military coup. Most disturbingly for Milstein, Ignacio Pirosky, the director of his institute, was dismissed, as were many colleagues in Milstein's department who had defended Pirosky. With the coup, persecution began to mount against both political dissenters and Jews in Argentina. This had major implications for Milstein. Bearing a Jewish name, authorities immediately associated him with communist activists. When four of his own staff were expelled from his department, he found himself no longer able to concentrate on his own scientific research and he decided to resign from his position and return to Cambridge. He was just one amongst the many tens of thousands of intellectuals and scientists who left Argentina during the military regime. More historical background can be found on Milstein and the rise and fall of molecular biology in Argentina in the late 1950s and late 1960s in P. Kreimer and M. Lugones, 'Pioneers and Victims: The Birth and Death of Argentina's First Molecular Biology Laboratory', Minerva, 41/1 (2003), 47-69. Milstein departure from Argentina was facilitated by Fred Sanger. On hearing of Milstein's difficulties in Argentina, Sanger invited him to join him at the Medical Research Council (MRC) Laboratory of Molecular Biology, where he now headed the Protein Chemistry division. Milstein arrived at the Laboratory in 1963 on a three year contract paid for by the MRC. This was one year after the Laboratory had moved into its own premises. For more on Milstein's recollections of his early days see C. Milstein, 'Messing about with isotopes and enzymes and antibodies', Lynen Lecture, Miami Winter Symposium Proceedings, in W. Whelan, ed., From Gene to Protein: Translation into Biotechnology (New York and London, 1982).